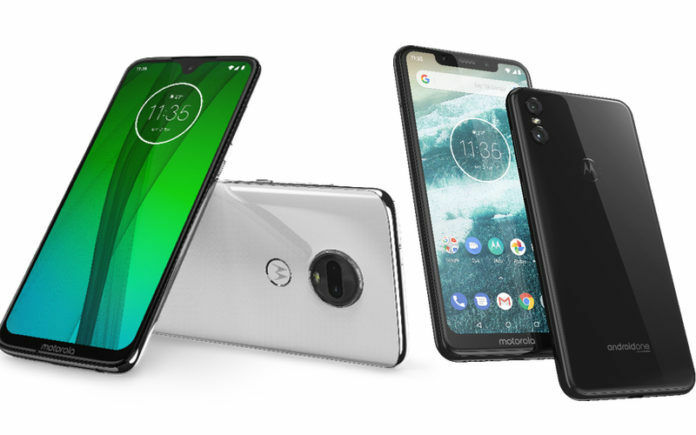 After teasing them for over a week, Lenovo-owned Motorola has made the Moto G7 official in India along with the Moto One smartphone. To recall, the G7 series debuted in Brazil, back in February 2019. 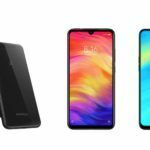 Both the phones are launched in the mid-range segment and will be competing with the latest phones by Xiaomi, Realme, and ASUS. 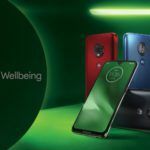 The Moto G7 and the Moto One will be available via both online and offline channels. Let’s check out more information about the two phones. The Moto G7 price in India is INR 16,999 while the Moto One will retail at ONR 13,999. Both the phones will be up for purchase starting today via Flipkart, Moto Hub stores, and other known offline stores. 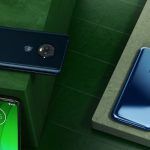 The Moto G7 and the Moto One are launched in Clear White and Ceramic Black color variants and are available in single variants (4GB RAM+64GB Storage). As for the offers, Jio users will get a cashback up to INR 2,200 when they buy either of the two new Motorola phones. The cashback will be applicable on INR 198 and INR 299 recharge plans. 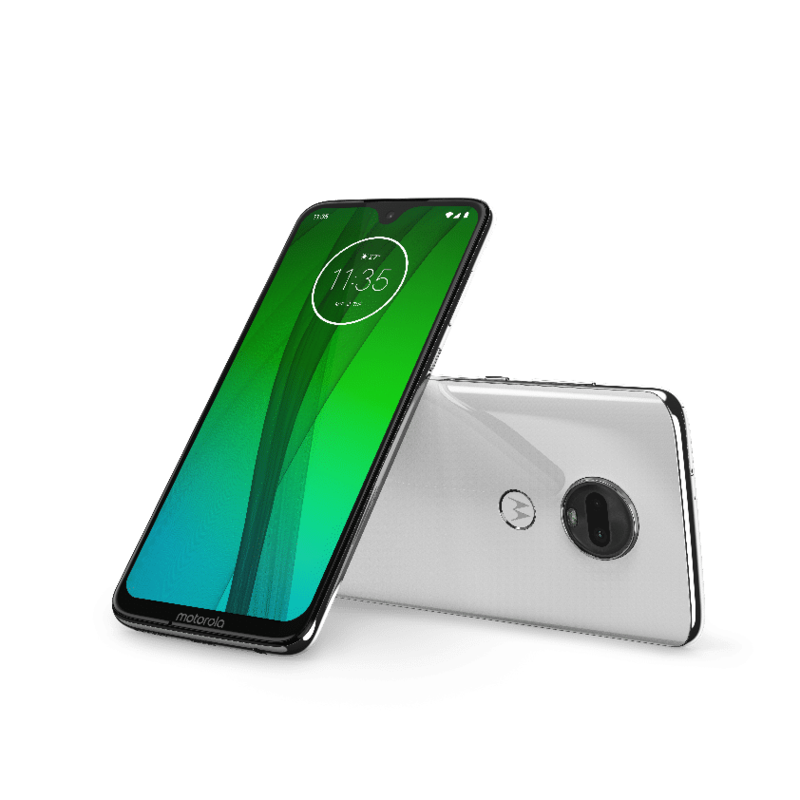 Starting with the specs of the Moto G7, the phone has a 6.2-inch Max Vision full HD+ display with P2i water repellent coating. It has a teardrop notch on top that houses the front camera. A Qualcomm Snapdragon 632 SoC powers it with 4GB of RAM and 64GB inbuilt storage. The phone has a 12MP+5MP dual camera setup on the rear with dual LED flash, Portrait mode, Spot Color, Cinemagraph, Auto Smile Capture, and Google Len. There is an 8MP selfie snapper on the front. 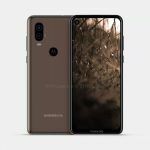 It runs Android 9.0 Pie with Moto Gestures like Quick Capture, Fast Flashlight, and Attentive Display. 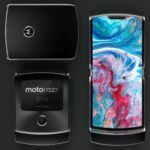 The Moto G7 has a rear-mounted fingerprint sensor and supports connectivity options including 4G VoLTE, dual-band Wi-Fi 802.11 a/b/g/n, Bluetooth 4.2, USB Type-C, GPS, and a 3.5mm headphone jack. A 3,000mAh battery backs the phone with support for 15W TurboPower fast charging. Storage on the Moto G7 is further expandable up to 512GB via microSD card. 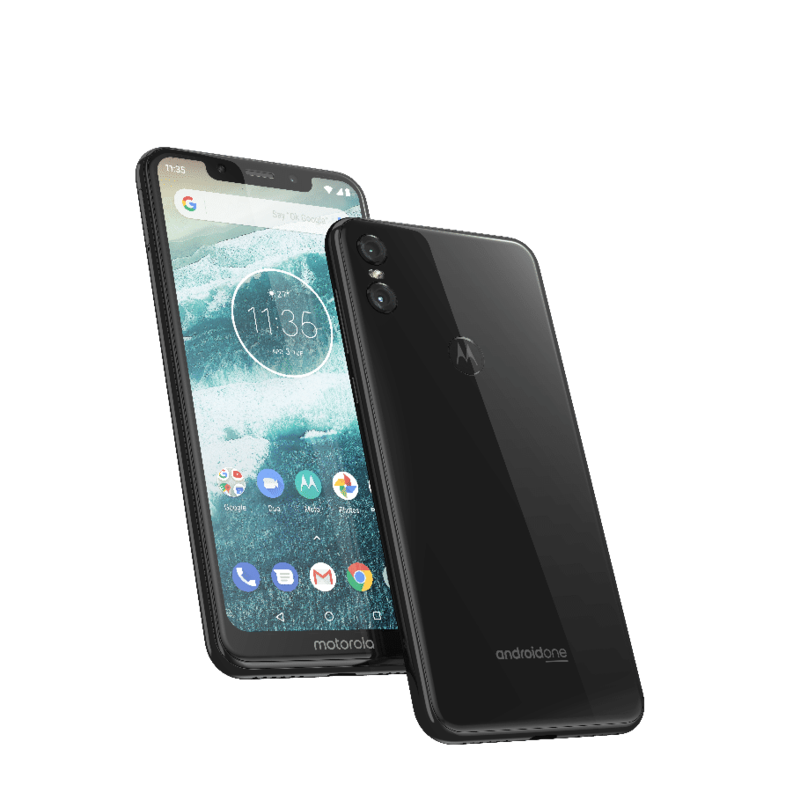 The Moto One features a 5.9-inch Max Vision display with a 19:9 aspect ratio and P2i coating against liquid splashes. It is powered by an octa-core Qualcomm Snapdragon 625 SoC clocked at 2.0GHz paired with 4GB of RAM and 64GB of internal storage. 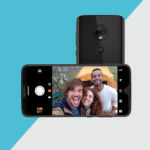 The Moto One is an Android One (Android 8.1 Oreo) phone with AI-assisted features such as Google Lens integrated into the camera app. The Moto One has a 13MP+2MP dual rear camera setup and an 8MP front camera. Storage on the Moto One can be further expanded up to 256GB via microSD card. A 3,000mAh battery backs the Moto One with 15W TurboPower fast charging just like the Moto G7. What’s your take on the two new Moto phones? Share your thoughts in the comments below.